If you have been wanting to get your hands on one of the better devices to hit the Android market in 2016, you can do so now through Amazon. 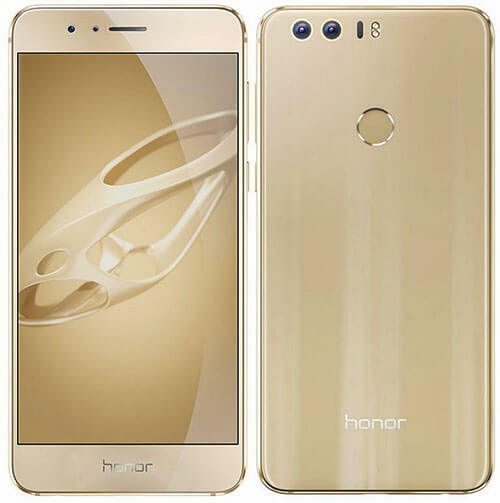 The new Huawei Honor 8 is now available at the online retailer starting at $397 in white and $399 in black. The 5.2″ device was release on the Huawei website last week but has made it to Amazon, Best Buy and Newegg online now. The device is receiving high praise already and has a powerful set of specs for a phone in this price range. The Honor 8 is powered by the Kirin 950 processor which has four Cortex A72 cores running at 2.3GHz and four Cortex A53 cores running at 1.85GHz. It has 4GB of RAM and 32GB of storage built-in but can be expanded an additional 128GB thanks to the MicroSD slot. The 5.2″ LTPS display renders at 1920 x 1080 which gives you ~423PPI. Camera wise, the main camera is a dual camera configuration (one shooting monochrome and one shooting color) that is 12MP and f/2.2. The front facing 8MP camera is f/2.4 with a delayed selfie timer and panoramic mode as well. Both cameras are able to shoot full HD video. Finally, the Honor 8 is powered by a 3000 mAh battery and has a fingerprint scanner for authentication. Huawei has already committed to having an Android Nougat update for the Honor 8 so it is just a matter of time until they get it built and released. That should be by the end of this year. If you order the Honor 8 in white, it is eligible for Prime shipping.